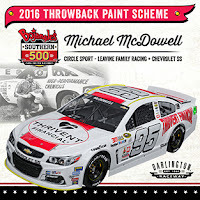 Darlington Raceway welcomes back its throwback weekend for the second year (in a five-year plan) after 2015's roaring success with the event. 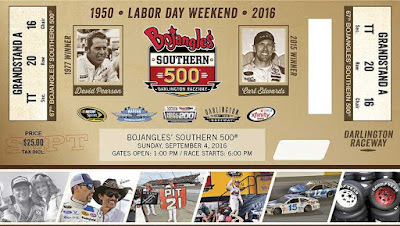 The Bojangles' Southern 500 returns for Labor Day weekend on Sunday, Sept. 4th (6 p.m. ET, NBC, MRN, SiriusXM NASCAR Radio). The drivers are having a lot of fun with their throwback theme race cars. One of NASCAR Race Mom's favorite throwback car belongs to Kyle Busch. The No. 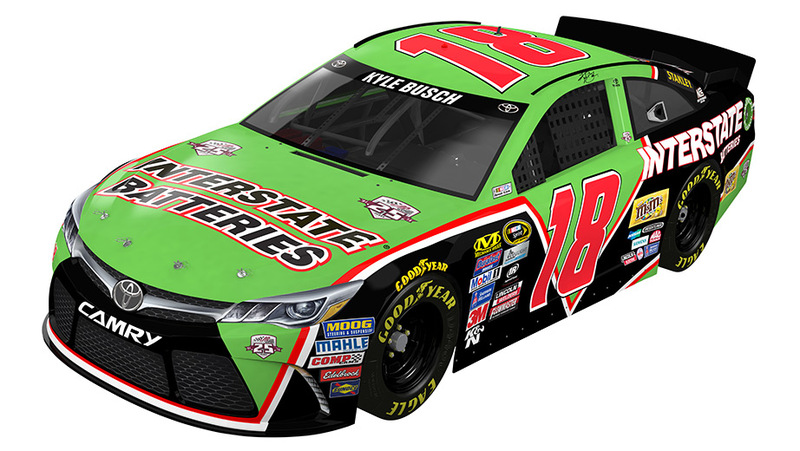 18 Joe Gibbs Racing Toyota will be a replica of the original design Dale Jarrett raced to victory in the 1993 Daytona 500, which was the first-ever win for JGR and Interstate Batteries. However, nothing beats the Jeffrey Earnhardt's No. 32 Ford scheme, which combines features from the Nos. 2 and 3 Wrangler Chevrolets driven by "The Intimidator" in 1981. "I'm pretty excited to have the famous yellow and blue paint scheme in honor of my grandfather for this year's Southern 500," said Jeffrey Earnhardt, the son of Kerry Earnhardt. 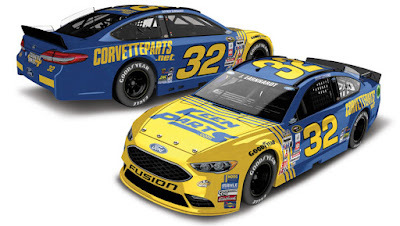 "My grandfather ran this paint scheme in 1981, when he started the season as the No. 2 car driving for Rod Osterlund. 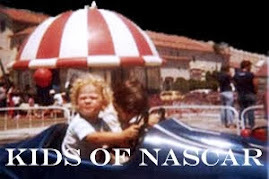 When Richard Childress purchased the team halfway through the season it became the famous No. 3 car, so you have that 32 connection, so it's pretty cool to have the chance to bring it back this year. I know we'll have a lot of fun with it, and hope all the great fans enjoy it as well." 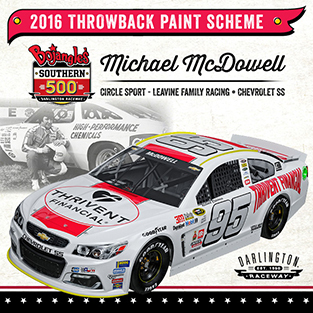 You can vote for your favorite throwback paint scheme by Clicking Here. 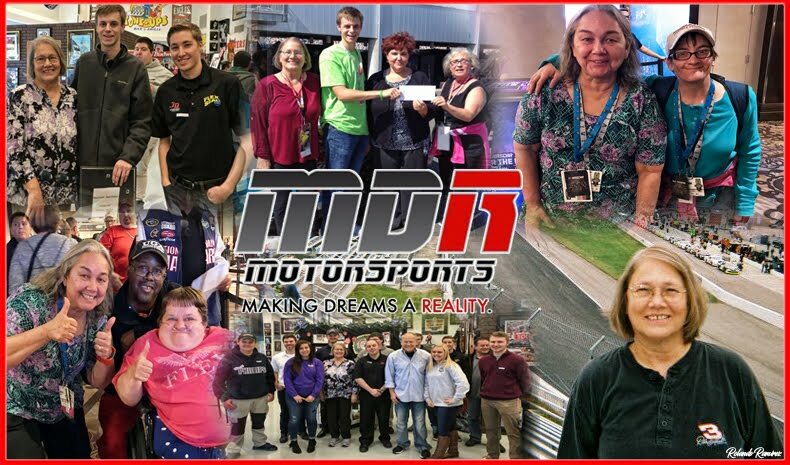 The top five fan votes for best paint scheme through Sept. 1 will be presented to a panel of NASCAR Hall of Fame members, who will determine the final selection for the Best Throwback Paint Scheme. 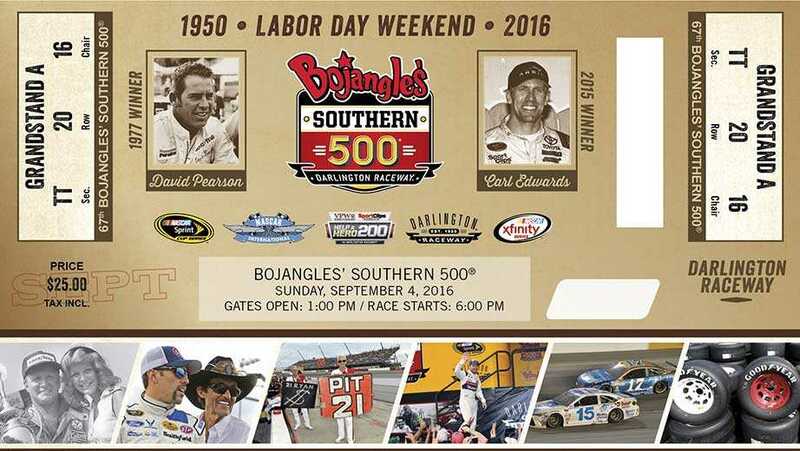 The award will be given to the winning team and driver on Sept. 2, just before the Bojangles' Southern 500 on Sept. 4 (6 p.m. 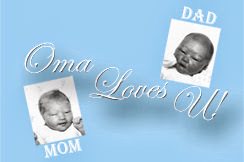 ET, NBC, MRN, SiriusXM). Last year, Kyle Larson's No. 42 Chevrolet won the award. Finalists included Dale Earnhardt Jr.'s No. 88 Chevrolet, Kevin Harvick's No. 4 Chevrolet and Josh Wise's No. 32 Ford.